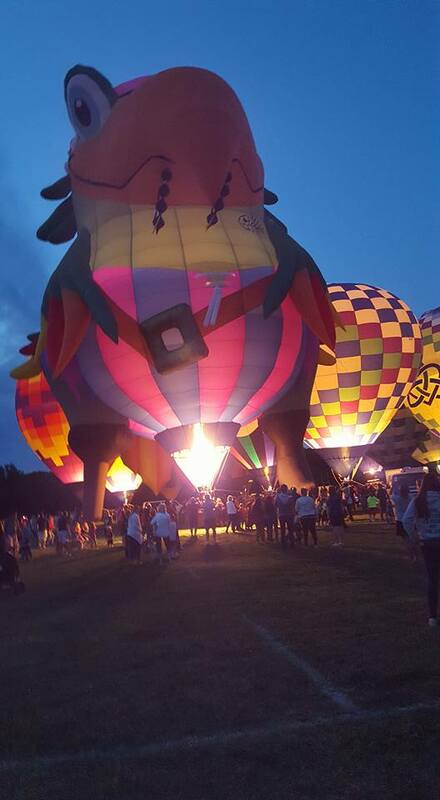 Caption: Macomb Balloon Rally 2017. Photo by C1. It's been five years and a day since I last posted. We've moved twice since 2012. The first was in late June 2013 from the state of Washington to Illinois and the second time was from a rental in the country to the home we bought in late September 2015. Yep, we've been caught in a whirlwind of change. We've had some difficulties along the way, but the good news is we endured, survived and even explored our new surroundings by taking several trips in Illinois (Chicago, Quad City areas, Peoria, etc.) and visited all the surrounding states (most recently, Kentucky where we explored Mammoth caves during spring break). I miss the breathtaking views we had in Washington, but am finding plenty to love about our small college town in Illinois. One of my favorite things about our 'new' community in Illinois is the balloon rally hosted at the local university every year (first weekend in September). I was happy to share my love of this event with C1. My other two guys had a busy week so they chilled while C1 and I ventured off around 6 p.m. It is the first time since 2013 that he has wanted to go, and the evening was a success. I'd like to say autism-blog.net is back better than ever, but the truth is I've gotten rusty. A lot can happen in five years including drastic changes not only in surrounding but also in technology and habits. My youngest son (C2) took over the family computer and I drifted more towards my smart phone and social media where I share the stories I used to share here in a more private setting. That said, I'm feeling the call to write ( and be helpful as possible) again so I'll give it my best try. The biggest question I have is: What would you like to see here? Top ten lists? Tool boxes? Question and answer sessions? Essays on issues? Please let me know. Thanks! Here in the U.S., many students are beginning a new school year. With that, social, academic, and emotional issues are bound to arise at any age. My hope is that we take some pressure off ourselves and realize we don’t always have to “fix it” or find a solution, but instead just be there for our children with love in our eyes. My thoughts: I hope everyone who reads this post clicks on this link to read the story written by the author who penned the above thought. It is about a behavior specialist turned special education teacher (no longer teaching though) who reached a child no one else could reach. How? By simply loving and caring about a child who had many behavioral challenges. What impressed me the most is that this teacher valued the lesson her student taught her. Her experience of helping a boy named "Kyle"sounded challenging. He was in full flight mode, running away because he didn't like/understand a situation in which he wasn't allowed to attend a field trip. But in doing so properly she showed the child she cared and in returned she earned his trust, respect, and willingness to comply. This story resonated with me because I have a child who frequently responds to distress by going into flight or fight mode. Like the author, I've discovered that the best behavioral plans start with love (or at least fondness). Any child, even one with autism, can sense if they are not loved or liked. Likewise, a child knows when someone sincerely likes and respects him. I tell my son I love him every day. At the moment we are directly discussing the concept of trust because I want him to know that everything I do in terms of homeschooling is with his best interest in mind. Any child, even one with autism, can sense if they are not loved or liked. Likewise, a child knows when someone sincerely likes and respects him. I'd like to encourage anyone who is either raising or teaching a child with behavioral challenges to first look past the behaviors and see the person behind them. It's not always easy, but it's necessary. Seeing the person beyond stress-inducing behaviors will inspire you to help them more than if you just see the behaviors and are overwhelmed by them. That said, I believe that challenging behaviors need to be addressed without a doubt. Fortunately there are many effective techniques to address behavioral challenges (functional behavioral assessments, collaborative problem solving, teaching social and coping skills, cognitive behavioral therapy). However, always remember the techniques are most likely to be effective if administered while having a positive attitude about the person in need of behavioral supports. Easy to Love but Hard to Raise: Real Parents, Challenging Kids, True Stories edited by Kay Marner and Adrienne Ehlert Bashistra is an excellent choice if you a parent with a child who has special needs or if you are someone interested in the subject of parenting challenging children. The book is filled with short, true stories written by parents who have children with a variety of needs. The best part about this book is that all the stories are well written and well edited and, most importantly, based on actual experiences. It's a book that can be read in just a few sittings or a little bit at a time depending on how much time one has. I like the 'you are not alone' message the editors and contributors send out to prospective readers. As a parent of a teenage boy with autism, I found that message to be comforting. That said, I was surprised that a large number of the contributors have children with Attention Deficit Hyperactivity Disorder (ADHD). I had made the mistake in assuming in assuming that a great of the stories were written by parents who have children on the autism spectrum. I think I assumed this because of the huge amount of content about autism on the internet and also because it seems that autism has been at the forefront in the news when it comes to the general topic of children with challenges. So, yes I was surprised there was not more stories from parents who had children on the autism spectrum. However, I still liked this book and would like to suggest this to any parent who has a child with special needs. (It's great for book discussion groups too.) There are a variety of diagnoses (for lack of a better word) represented here. These include Down Syndrome, Fetal Alcohol Syndrome, Eating Disorders, cognitive impairments, Obsessive Compulsive Disorder, Sensory Integration Disorder and more. In other words, there is something for any parent facing challenges here. I'd also like to suggest the blog connected to this book. The promoters of the blog promise stories, tips, and a safe haven for parents. I like that not all of the stories are triumphs. Don't get me wrong, those are great to read. Sometimes it's great to read those types, but sometimes it demoralizing when as a parent, one is facing incredible challenges. So, as a parent currently helping a child with ongoing challenging behaviors, I appreciate it just as much, if not more, when real, and even gritty challenges are shared. Here is one post I appreciated just because I could really identify with the parent. I really liked the hope she has for her son's future, but I also could really identify with the challenges she often faces. Anyway, the blog has regular updates from a variety of authors, and fans of the book/blog can also follow along on Facebook. Note: The book is $5.99 U.S. Dollars on Kindle and prices that vary on Amazon.com for the paperback version. C1 and I in a gondola on the skytrail, a feature at Trees of Mystery. Since we moved to the Pacific Northwest from Michigan two years ago we have traveled often to get a feel for the area. Over Spring Break this year, we decided to drive from the Northwest corner of Washington down through Oregon and over the California border to see the magnificent Coastal Redwoods. The trip would be our longest road trip ever with both boys including our thirteen-year-old son with autism. Our greatest hope was that our experience with our previous vacations would help us avoid some of the challenges of travelling with a child who has autism. To be truthful, my husband and I were a little fearful that things might fall apart along the way because of a meltdown from an unexpected source or inappropriate behavior. However, we didn't let that fear stop us. Instead we scheduled tours and hotel stops like any family. Like anyone with kids, we made sure all our hotels had a pool to visit, and we stuck to a basic schedule for swimming no matter where we were at. The boys knew they could swim after check in during the early afternoon and in the morning after breakfast before checking out. In addition, before we even left, C1 knew exactly which hotels we would be staying in and viewed the website for each one. We also briefed him as to which places we would be touring and outlined our expectations for behavior each time. It wasn't a perfect trip. We made a couple of mistakes such as making a surprise trip to an aquarium, which isn't really a 'safe spot' for us because it doesn't fit into any of his special interests (light houses, Capitol buildings, monuments) and has the potential of featuring the dreaded turtles or tortoises. We also noticed he struggled with lunch time, especially when we brought out food we had bought earlier for picnics. He much preferred going to a fast food place. So now that we know picnic lunches can be an issue, we will work to make sure he has full knowledge and proper expectations of what lunch will be like. However, the trip as a whole was incredible, and my husband I consider it to be a huge success. I believe we bonded as a family while doing many family friendly activities. Further, I achieved my lifelong dream of seeing the Redwoods, and we had a great time that day. Besides visiting the Trees of Mystery attraction, we also visited the Oregon Caves, two lighthouses (the one above is the Umpqua River lighthouse), The Sea Lion Caves, and the Washington State Capitol building. I have to smile, because of all the things we did, the only thing my son talks about is touring the Capitol building in Olympia, WA. I'm just glad we all had a great time. It was a trip we will all remember (in a good way!) the rest of our lives. Today I'd like to give a shout out to all my readers all over the world who are raising a child with autism. If raising a child is difficult, raising a child with autism is at least four times as hard. However, it's definitely a worthwhile endeavor. I've become a better person as a result of being a parent of a thirteen-year-old boy on the autism spectrum. People who have autism view and react to the world differently than those who don't, thus giving us a whole new perspective. Anyway, my heart goes out to you all, and not just for today because we deal with challenges every single day of the year. In my world as a mother of a son with autism, even the smallest of changes can create havoc. Most people are aware that people with autism have difficulty dealing with change. Change has the potential to cause extreme anxiety and outbursts in the individual on the autism spectrum. 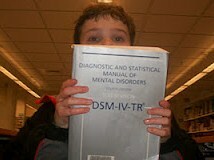 My son, now 13, was diagnosed with autism/pervasive developmental disorder not otherwise specified at age 6 under the DSM-IV. Actually, though if you think of it, change can make anyone nervous. Try to change anything in any institution and see what happens. People will become "concerned" or "worried" and inevitably this concern will lead to an individual or a group of people opposing the issue. This concern was highlighted in a New York Times article that was published January 20, 2012. The title alone is enough to to induce panic in the calmest of all individuals. What advocate wouldn't be concerned when reading the headline "New Definition of Autism Will Exclude Many, Study Suggests"? Whether or not the worry is warranted, the study and related New York Times article has created a media avalanche and prompted a press release from the American Psychiatric Association (APA), who publishes the DSM-IV. According to the release, "The proposal by the DSM-5 Neurodevelopmental Work Group recommends a a new category called autism spectrum disorder which would incorporate several previously separate diagnoses, including autistic disorder, Asperger’s disorder, childhood disintegrative disorder and pervasive developmental disorder not otherwise specified." The new guidelines are currently being field tested and the decision, according to the APA, is months away. The new edition will be published in 2013. Supporters believe the changed guidelines for autism will lead to more accurate diagnosis and thus a better designed treatment plan for newly diagnosed individuals. However, due to concern about what the outcomes of the new guidelines will be, it is likely there are far more opponents than supporters of the changes to the guidelines for autism. Before taking sides, it is important to get the basic facts first if one has not done so already. The Washington Post published an article which quotes a representative from Autism Speaks extensively. I've scanned through several including this one and have found that out of all the articles out there about this topic, the Washington Post has the best basic question and answer article. That said, it will be a long time before we see whether or not there is truly anything to worry about. It could be that the supporters are correct in their assumption that this change will actually benefit individuals on the spectrum. In the meantime, major autism advocacy groups like Autism Speaks and Autism Society are acting as watch dogs. As for the rest of us, according to the APA, they will be accepting comments for a third and final round in Spring 2012. The specific date was not listed. The date will most likely be posted at the this site in the near future.